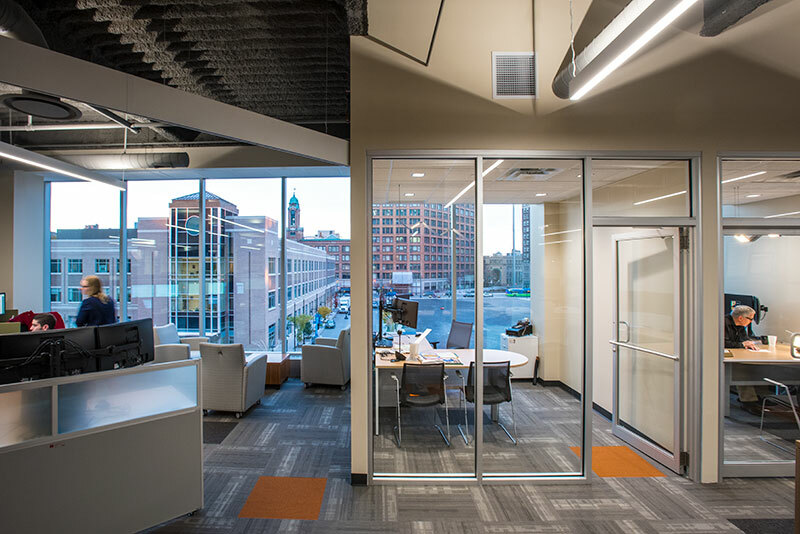 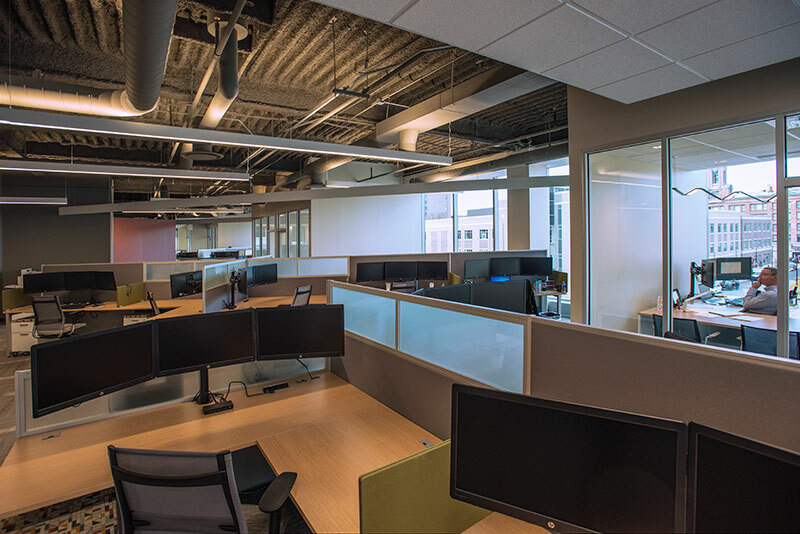 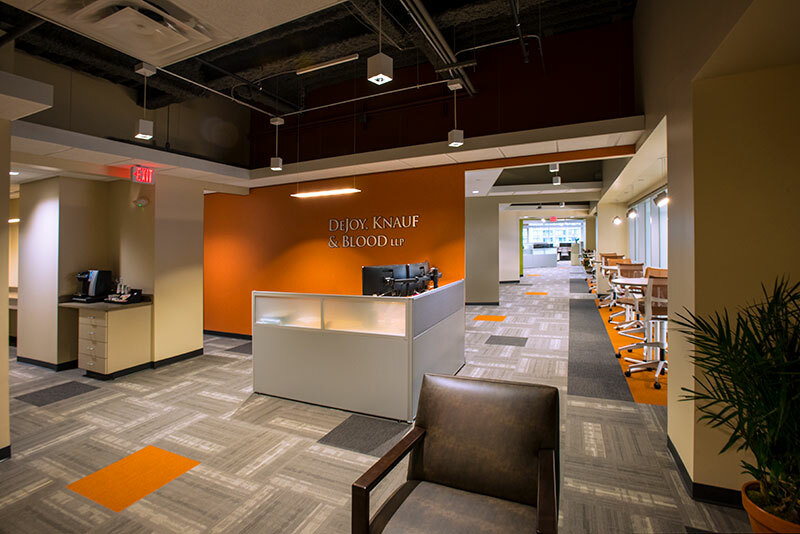 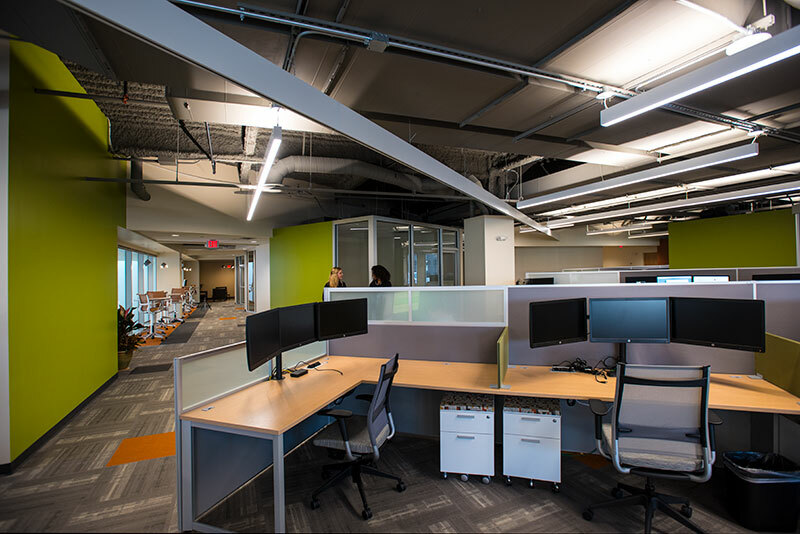 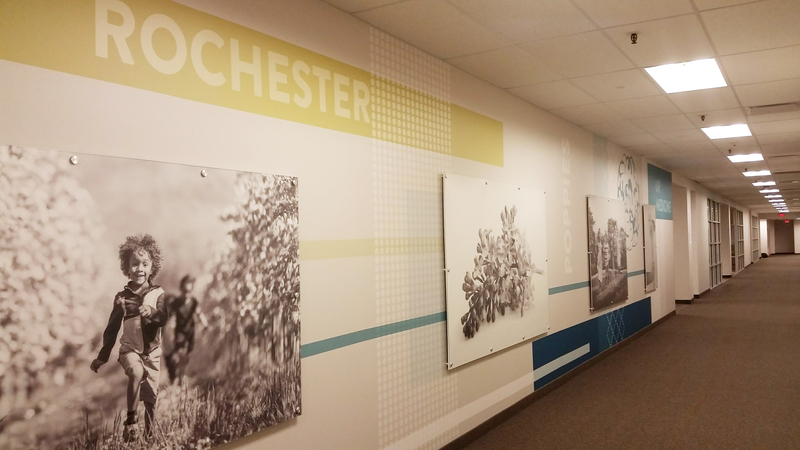 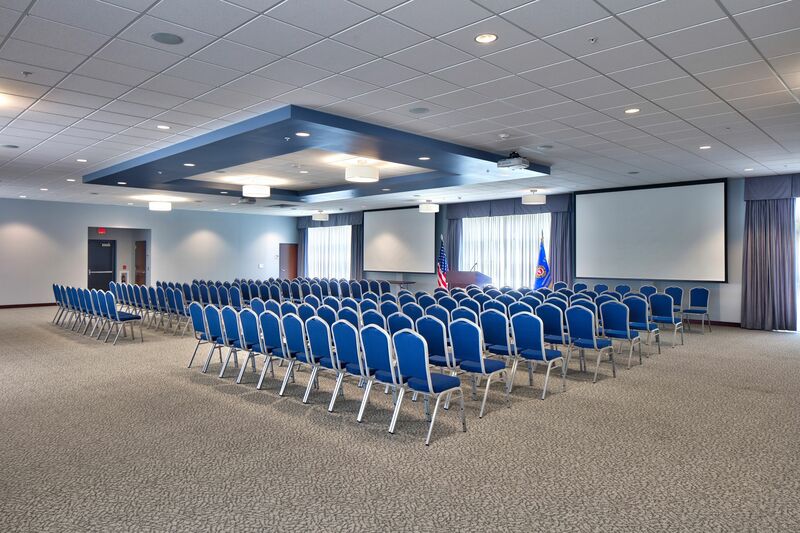 "A Place for Style, Innovation and Convenience"
SEI worked jointly with DeJoy, Knauf & Blood worked jointly on layout and design of their new space, Tower 280 at Midtown, downtown Rochester. 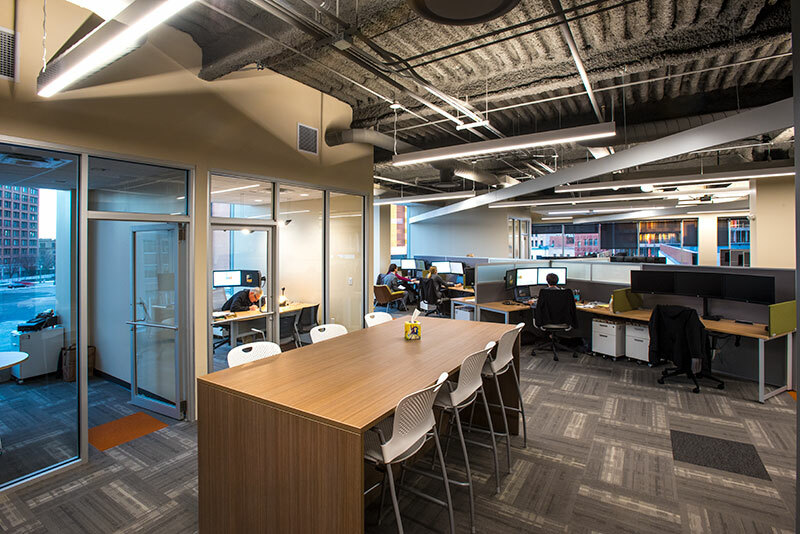 The space allows them to provide flexible work spaces to sit at a desk, stand up at a counter, group together at a table, or sink into a more comfortable arm chair on any given day. 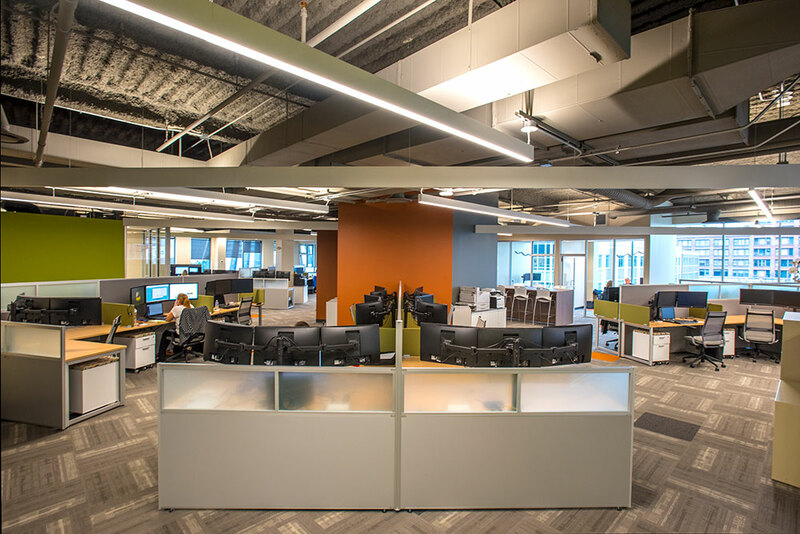 The result is a very bright, inviting space with open views to the city and a layout that fosters team collaboration focused on providing outstanding client support. 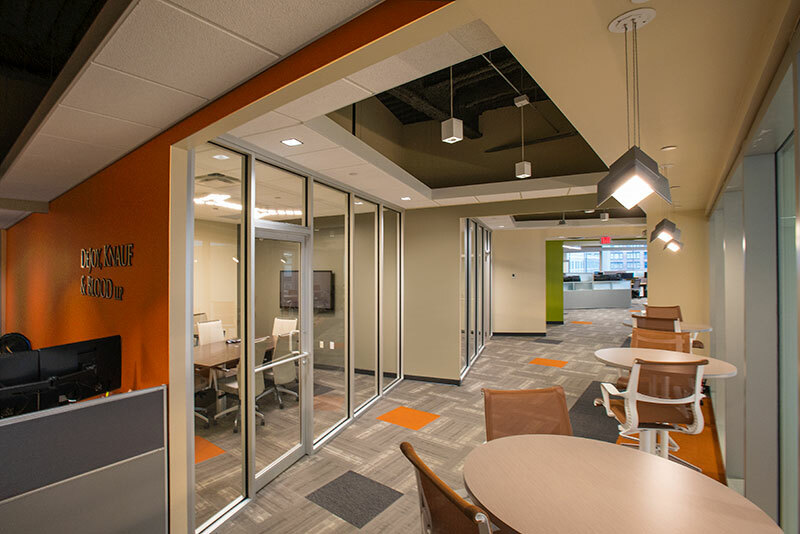 Find out how SEI Design Group can inspire your next project.